According to Statistic Brain, about one in five of all reported instances of employee dishonesty results in a loss of at least $1 million, and the average cost is $140,000. The median loss is $170,000. Strong internal controls, background checks, and audit practices, no matter how well conceived, frequently fall short of stopping a trusted employee from engaging in fraudulent activity, especially one that is aware of these checks. Check out these interactive cases of employee fraud by clicking here. Selective's current Online Marketing Platform (OMP) is being retired this month. We're excited to announce that a new and improved Distributed Marketing Platform is coming soon! Built with you and your agency in mind to help increase speed to market and enhance your multi-channel marketing capabilities - don't miss out! Check out this quick video to see highlights from the new platform! 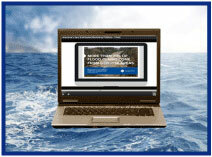 If you’re not a Big "I" Flood agent, attend the webinar anyway to view the resources Big "I" Flood agents are enjoying with endorsed provider Selective. You can learn all about the Big “I” Flood program at www.iiaba.net/Flood. Please join Big “I” Markets and AIG Private Client Group Business Development Manager Lisa Gelles for a comprehensive webinar on Wednesday, September 13th. During the presentation, we will cover each of the four core lines of affluent business - homeowners, auto, umbrella and valuable items. We will also discuss tips on managing risks, claims, underwriting flexibility, premium credits, and coverage comparison. The presenter is Lisa Gelles, Business Development Manager - AIG Private Client Group. Condo or Renters with at least $250,000 in contents or contents and combined additions and alterations. AIG's Private Client Program and is available to registered members in all states. Click over to Big "I" Markets and click on Affluent Program - New Business to learn more! Congratulations to our agent in Virginia on a Small Commercial Standard Market sale of $20,408 in premium!